Since winning the 2012 Miss Hong Kong crown, Carat Cheung (張名雅) has been heavily shrouded in negative rumors. Due to a live voting failure, Carat’s controversial victory was decided by the pageant’s judging panel. 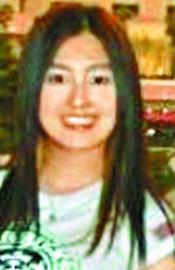 Rumored to have received plastic surgery, Carats’ looks were considered to be less attractive than second runner-up, Tracy Chu (朱千雪), who was voted by netizens to deserve the crown instead. An older photo of Carat surfaced recently, sparking speculations that Carat had received plastic surgery for to sculpt her nose and double eyelids. As Carat’s face was formerly broader, she was suspected to have received botox injections to slim her jawline. The Canadian native never expected to enter the Miss Hong Kong pageant. She had competed in the 2009 Miss Chinese Vancouver pageant and was placed as first runner-up, behind winner Eliza Sam (岑麗香). This led to an opportunity to work with the local broadcasting station, sparking her interest to become an outstanding actress. Carat will likely be able to fulfill her acting dreams after signing with TVB since the pageant, along with first runner-up, Jacqueline Wong (黃心穎), second runner-up, Tracy Chu, as well as participants Roxanne Tong (湯洛雯) and Christy Chan (陳潔玲). Jayne: Although Carat is plagued by negative rumors, she appears to have good EQ in fielding the questions. This EQ is important in surviving in the industry in the long-term. Laugh all you want. Original face is pretty enough. Nose looks like she did something. I do not consider single to double eyelid as plastic surgery. That is too minor. Jawline looks thinner Probably lost some baby fat, probably sucked the fat out. Or maybe the hairstyle. Maybe she was too busy to update her viewing list because Myolie is a long way from her former great potential self in Golden Faith. At least there is one who did not name Maggie Cheung Man Yuk. Agree with you on the above statement. Though Myolie is now a TV Queen, I think her acting in “Golden Faith” was better and more natural. I don’t get why people think Tracy is better looking then Carat? I actually think Tracy look very typical as in nothing special while Caret have a unique face. I guess beauty is in the eye of the beholder. But hey the Pageant is over so people need to chill! They are not going to change the result! i personally find tracy prettier because she looks more ‘oriental’ with a wide nose, big mouth and oval shaped face. she even reminds me of loletta chu a bit. carat appears pretty in photos with her pointy chin and narrow nose but her looks kinda follows the western ideals of beauty, which is all the rage in china right now. to me, carat looks little different from the jumble of plastic surgery enhanced mainland actresses in rotation right now. but like you say, beauty is in the eye of the beholder. and while i would have voted for tracy if the damn system hadn’t crashed, i accept that carat won. i mean, who cares really? at the end of the day, all three of them are going to end up at tvb eventually. A lot of times, the ones that do not win end up being more successful than the winners. Therefore, I do not see what the big deal is about who wins and who doesn’t.. I couldn’t put my finger on it but now that you’ve mentioned it, Tracy does remind me of Loletta Chu. It’s hard to tell since the pictures are 2 different angles, but I don’t think she got a nose job since it’s still considered big and a hook shape? Didn’t they even joke that she was related to Andy Lau because of the big nose? Anyways, people need to get over the fact that she won. It’s not going to change anything. I feel sorry for Carat because of all that voting issue. She might have won the public audience’s vote anyway if the servers at TVB didn’t crash, but she’s still going to be known as the Miss HK that wasn’t meant to have won. I think when the unofficial voting for the Miss HK was on, lots of anti-TVB people would’ve voted for Tracy Chu just to get at TVB. Still, I didn’t watch the show, so I don’t know who is better. Hopefully Carat will be known as a rightful winner of Miss HK soon! Are the reporters sure they got the right ‘before’ picture. The girl in the blur picture looks more like Race Wong than Carat Cheung. Look more like she has lost some baby fats she is still young hard to believe she needs ps. She is the most controversial miss HK ever!! Cheung Ka Yi was pretty big too. Controversial Miss HK ??? What had she done?? Should be “She was caught in participating in the most controversial Miss HK pageant ever. If her current nose is the result of plastic surgery… then I hope she got her money back!!!! Haha. Agree. She should get a refund if she really has PS on her nose. Her nose is her least appealing feature. Agree that Carat’s nose is her least appealing feature. It is too pointed for a Chinese. She does look like she had plastic surgery, but I believe we don’t love these contests for their highly smart and naturally beautiful contestants…In this century, that is. Of course even IF she did have stuff done, she will not admit it just like most celebs. Therefore, that is nothing shocking at all. Someone out there is attempting to pull Carat down. They are running a media spin now. Are there any HK celebrities who have admitted to plastic surgery? Plastic surgery itself doesn’t bother me (although at the same time, it’s sad to see the number of people having to resort to such drastic measures), it’s the fact that people don’t have the guts to own up to it. If you find it shameful, why do it? You’re endorsing yourself as a “natural” then other people might see that and develop lower self-esteem. Just stop this nasty cycle. I’m not a fan of Carat but i think reporter should the girl alone. Carat is good at answering those question. Carat looks pretty in that photo but not on tv. Talk about photoshop.